Do You Love Going to the Farmers Market? Does Your Work Schedule Force You to the MegaMarket Instead? Are you looking for a Great Workplace Wellness Program? 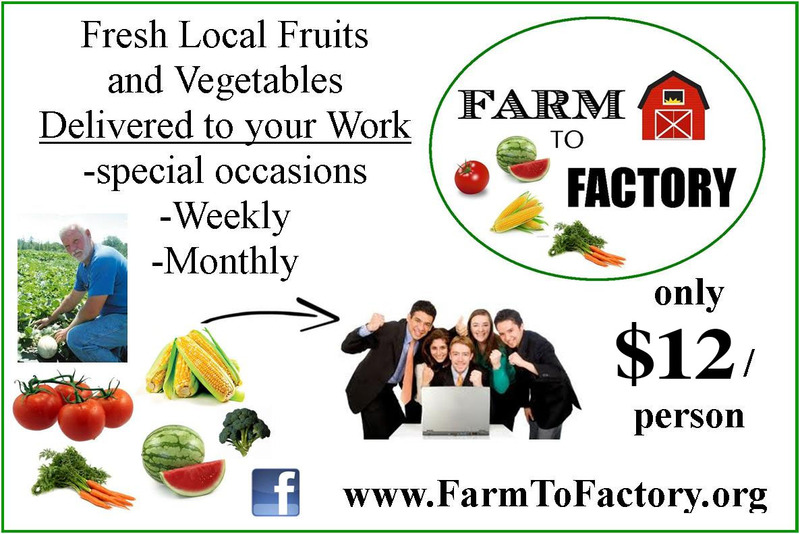 The Farm2Factory	team will deliver loaded produce bags to your place of business! Once Per Week……Once Per Month…….or Once Per Year ………..
Our team will deliver loaded produce bags to your place of business. 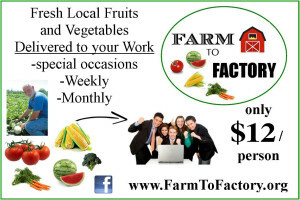 For the low price of $12 / person, we can deliver 40 – 5,000 + individually packed baskets of seasonal produce picked daily. We can customize a delivery program for every workplace. “I've been stopping by the stand in Romeo for years, now George brings it right to my work!"